You can create a WPF application in either Visual Studio 2010 or Blend 4. To create a WPF Application using Blend 4, start by clicking on the New Project icon in the dialog that appears when Blend starts. 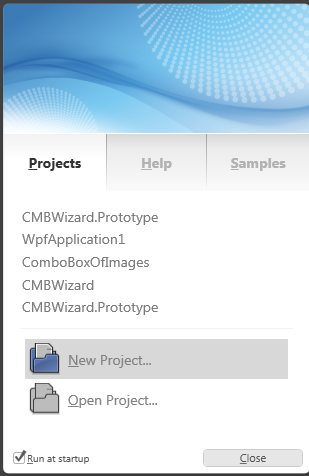 Alternatively, you can select File | New Project after Blend starts to launch the New Project dialog. 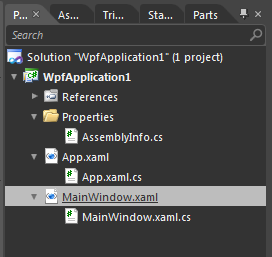 Once this dialog opens, select WPF Application and click OK. 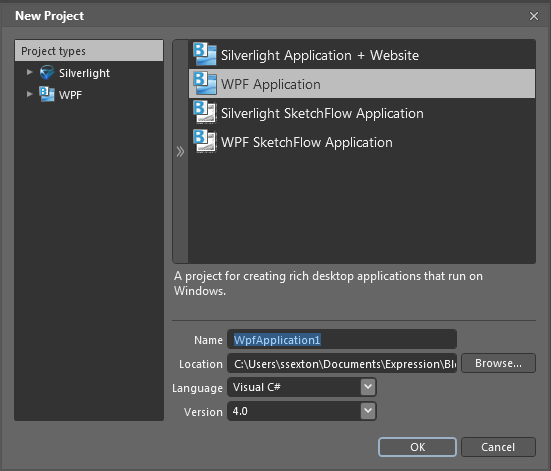 The resulting project structure is nearly identical to what you get if you create the application with Visual Studio 2010. The only real difference between the projects is that the project wizard in Visual Studio 2010 also creates a default resources file and an application settings class.